If you're a new AT&T U-Verse internet customer (or considering becoming one), listen up – the service provider announced yesterday that it is now offering a selection of devices free when new customers package internet service with either U-Verse TV or Voice. Customers can choose between a Nexus 7, Kindle Fire, Sonos Play:3 (with WiFi bridge), or an Xbox 360. 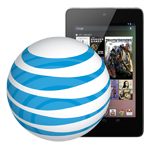 What's more, customers will get access to AT&T's WiFi network free of charge. While a free Android tablet (or Play:3 or Xbox 360) may not be your primary reason in signing up for brand new lines of service, those in the market for new internet, TV, or voice service who also happen to want a new gadget (Android-powered or otherwise) may find this deal appealing, and would be well-advised to mention the offer when ordering. For the complete press release, just check out the source link below.